This contemporary round transparent knob by Richelieu was designed for glass doors. Features a round acrylic plate that attaches to glass with the help of adhesive. With its cylindrical design, this metacryl knob provides an elegant contemporary look. The perfect choice for those looking for an exclusive interior design element. 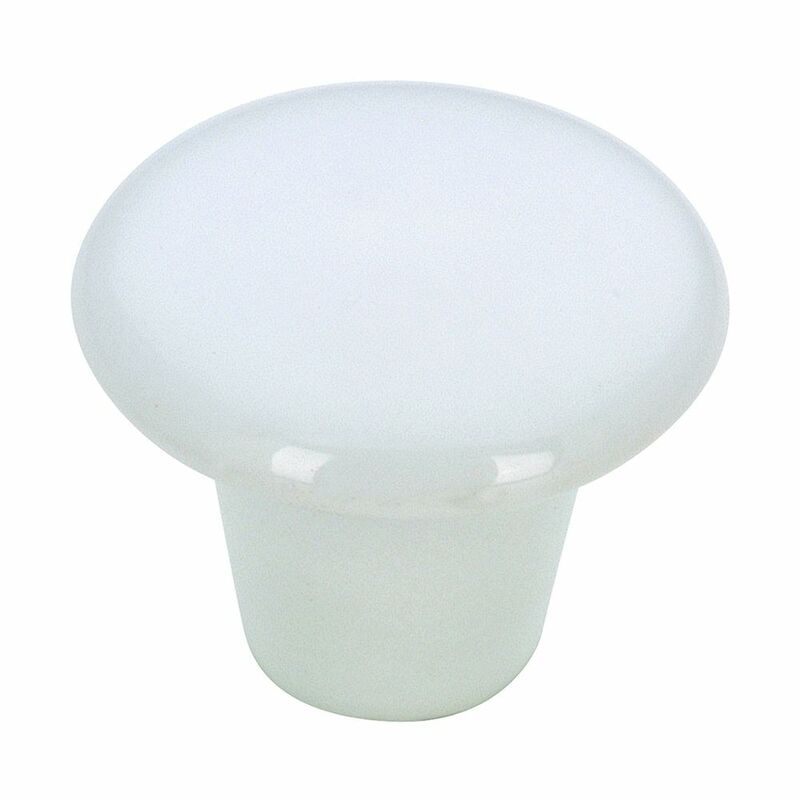 Contemporary Ceramic Knob 1 1/4 in (32 mm) Dia - White - Cherbourg Collection Contemporary mushroom-shaped knob by Richelieu. Its simple discreet shape and smooth surface will give a refreshing touch to your furniture and dicor.